The Mimosa is a popular cocktail dating back as far as the 1920's and is most commonly served at brunch but is the perfect cocktail for any celebration. 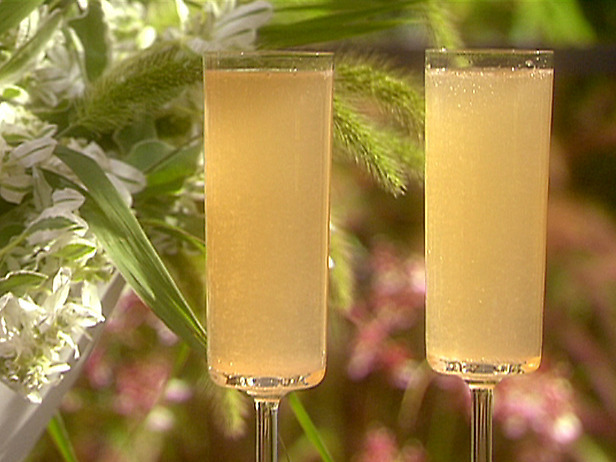 A traditional mimosa consists of chilled champagne or sparkling wine and orange juice, served in a champagne flute. While the original mimosa is delicious in it's own right, modern day time has extended the mimosa to a variety of flavors that are only limited by one's imagination. Mimosas are wonderfully festive and even better, they are so simple to make. In lieu of orange juice, some popular alternatives are raspberry, grapefruit, pear and quite fittingly for this time of year, cranberry. Many variations also welcome a splash of Triple Sec or Grand Marnier which always add a little extra joy to any occasion. Serve mimosas at your next gathering and you can guarantee a great time will be had by all. 1. Place 1 tablespoon of Triple Sec in each champagne flute. 2. Top with 2 tablespoons of the juice and 1/2 cup of champagne. 3. Serve garnished with a slice or berry of the juice you use.